Luxurious and Spacious Corner Unit Condo in Palencia's Village Square. Unique building has protected garage parking and private storage. This condo features brand new luxury vinyl plank flooring and freshly painted! 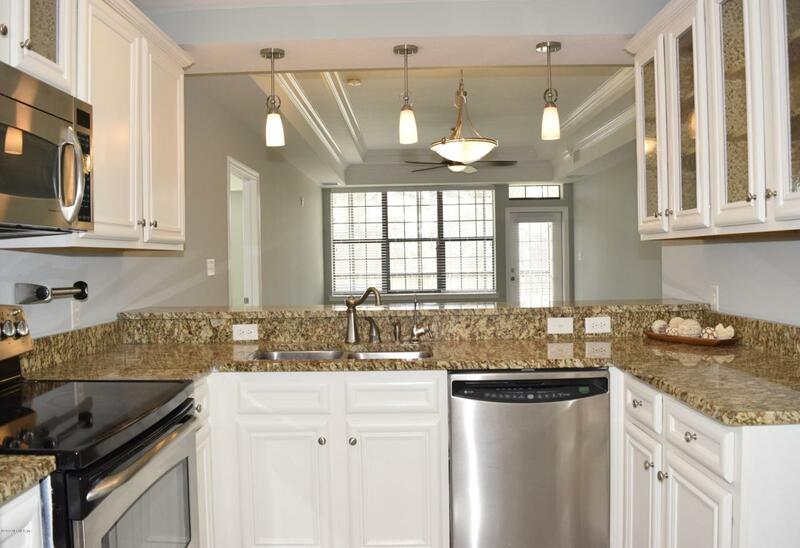 The double tray ceilings with double crown mouldings, beautiful kitchen with Granite Countertops & Stainless Steel appliances, magnificent lighting fixtures throughout, oversized laundry/storage room, large private Den/Nursery/Flex Space, Granite in the bathrooms & much more. Tennis courts, Swimming Pools and Fitness center are a short walk from the condo.Breakdown of fees:$511 Condo fee - Monthly (covers water, sewer, trash, pest control and building maintenance. Two Garage spaces and storage unit comes with this condo.